Dancing in the Rain: The Tuesday Ten First Birthday Giveaway! 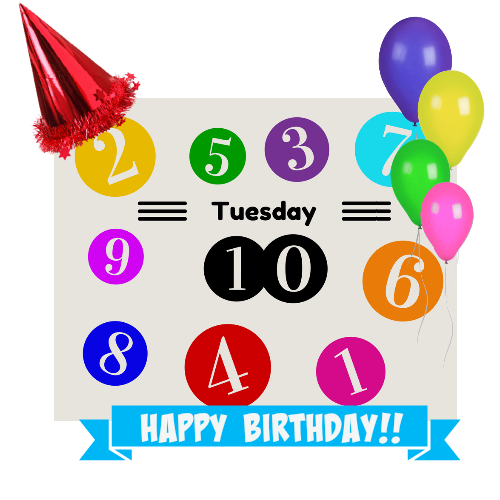 The Tuesday Ten First Birthday Giveaway! 1. Lists make great blog posts and I employ that particular writing technique on a regular basis. People's attention spans, what'r'ya gonna do? 2. Bloggers like to shmooze with other bloggers. 4. With a big ole GIVEAWAY! 5. And I'm part of it. 6. I love giveaways. Yes, you can actually win them. I have won several, as a matter of fact. Entering giveaways and casino slots are about the most gambling I ever do. 7. It started today and will remain open for two weeks. 8. You gotta go to The Golden Spoons or The Lieber Family to enter. 9. The prize is a 10-pack of gift cards totaling $100! Ten dollars each to: Starbucks, Amazon, Target, Visa, PayPal, iTunes, Dunkin Donuts, Chipotle, Panera and ChickFilA. 10. By the way, this week's Tuesday Ten topic is new year's resolutions. Now I know tons of bloggers have shared theirs. I shared a few on Facebook because I choose to put emphasis on One Word, but if you've blogged 'em, link that post up! and good giveaway (and resolution) luck to you!